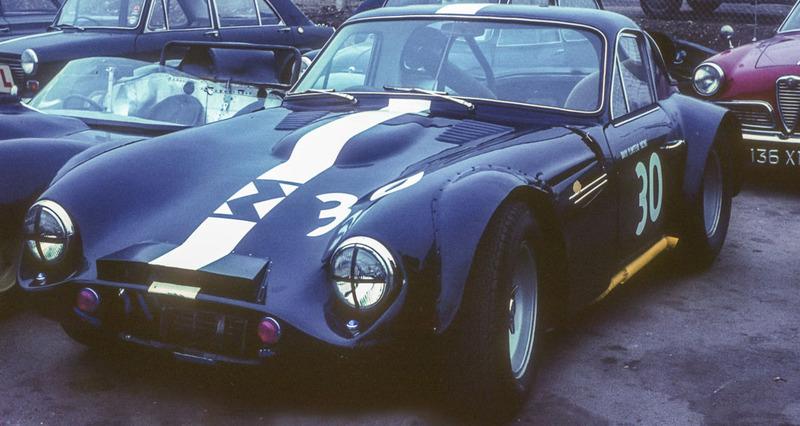 In early 1965, a new Griffith was delivered to TVR Dealer David Plumstead. 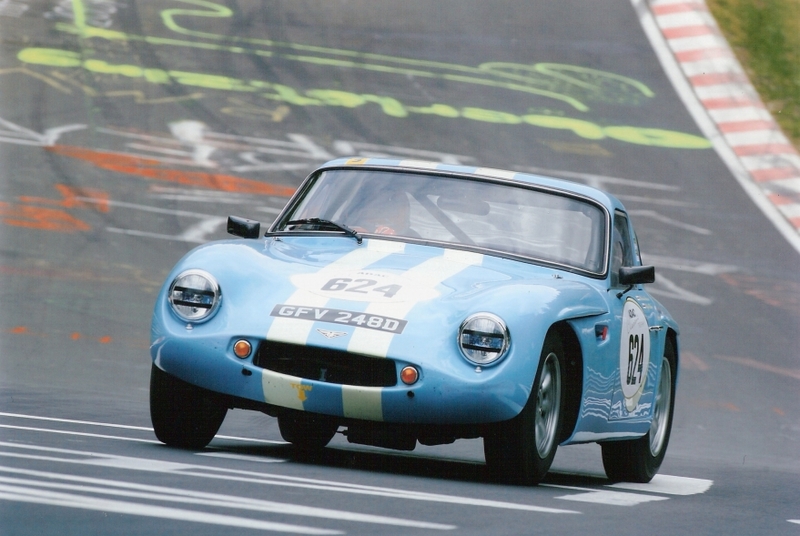 The car was initially registered under the number 487 PB and started its racing career in white with small additional wheel arches but as the 1965 season progresses the car became both the most modified and the most raced TVR Griffith that year. Early in the 1965 season the car gained wide arches to accommodate its 9" wide wheels, a full race GT40 engine and discs all round. 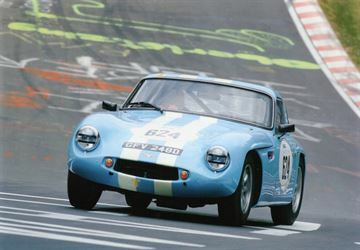 In motorsport circles the car had been given the nickname that it has held to this day Mongoose due to it running in the lead pack of races that often contained AC Cobras (amongst other great GT cars such as lightweight E-Types, Sunbeam Tigers, Divas and 26Rs). A new dark blue colour scheme was created with a thick white stripe down the middle of the car showing a large M in blue on the bonnet stripe in tribute to its new nickname. In 1965 Mongoose had many great results and made the motoring press many times thanks to its muscular looks, great soundtrack and the enthusiastic driving of David Plumstead. 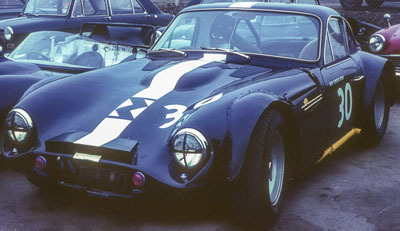 Mongoose was rested in 1966 as David Plumstead's business hit hard times but returned to the tracks in 1967 under the ownership of Clive Vandervell when the car was entered as the Vandervell GT and finished 2nd in the over 2500cc class of the Motoring News GT Championship in the hands of Mike Greenwood. 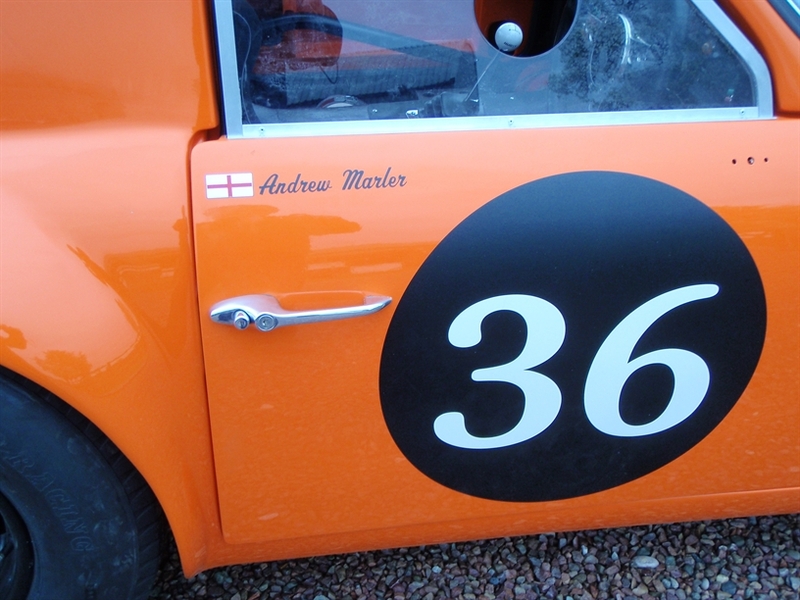 Since 1967 the car has only had 4 owners, the most recent of which being Mike Wroe who owned and raced the car for about 10 years. After 2 years of discussions Mike Wroe agreed to sell the car subject to one condition - as Mongoose is still sitting on it's original body and chassis if the car was going to be returned to race fitness it had to be done with great care and sympathy by Nigel Reuben Racing. 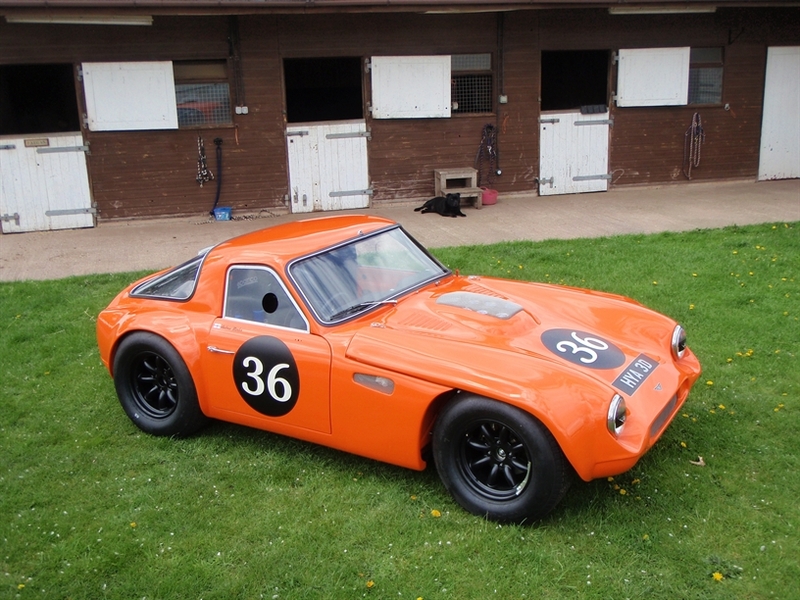 Oh and it seems that there definitely is something about this car and the letter M - Mongoose, Mike Greenwood, Mike Wroe, Mike Whitaker! © 2015 Nigel Reuben Racing. All rights reserved.